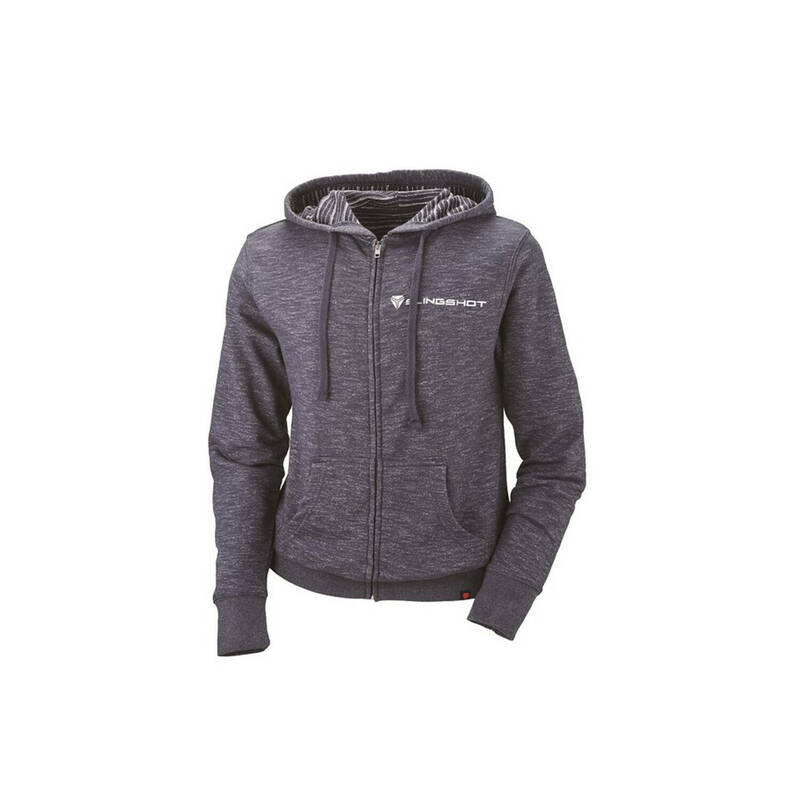 We’ve never known a woman who doesn’t like to be comfortable, and nothing is more comfortable during a ride or after it than our latest full-zip Women’s Classic Hoodie. Created from premium French-terry cotton and polyester blended fleece, it’s incredibly soft yet amazingly durable. Then we dressed it up with all the classic hoodie features including drawstring and front pockets, along with a few extras such as an antique metal kissing zipper, branded hem label, and of course clean and sharp Slingshot® branding.